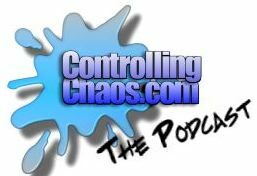 Just finished listening to episode 32 of the Controlling Chaos podcast (http://www.controllingchaos.com/) about Agile Estimating and thought it was quite noteworthy! I’m uncertain about the whole Agile methodology but it does seem to be gaining popularity in the software development arena. The content here seemed to be more about estimating than agile. The guest of the show was Mike Cohn from Mountain Goat Software and author of Agile Estimating and Planning. The episode is just under a hour long and well worth a listening. Lots of information about the various team estimating ideas Mike had explored and includes one called Planning Poker (http://www.planningpoker.com/). I couldn’t help but think of the FileMaker developer team I belonged to for about three years. About 95% of the time, we had a one developer equals one project ratio, we almost never had a two developer project. I was wondering what it would have been like if it was the other way around. If every project more than 10 hours in duration had a minimum of two developers and one project manager. The obvious negative would be the non-billable time for planning but I think that would decrease over time. The possible advantages would be better coding overall, tighter team integration, better control over project status and that is an interesting set of benefits right there? Older PostWould This Work For Non Traditional FileMaker Classroom Training?